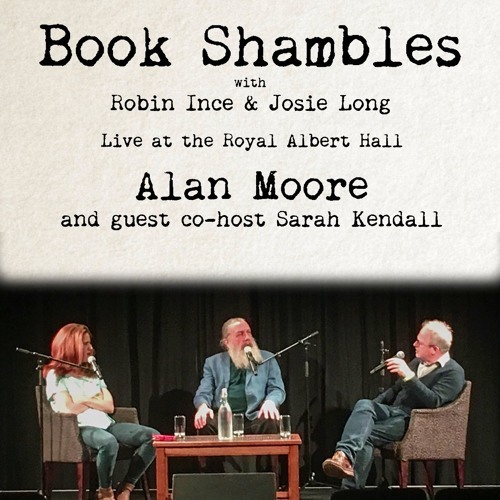 Recorded live at the Royal Albert Hall, Robin is joined by guest co-host Sarah Kendall and Alan Moore. They chat about where real science has influenced Alan's works, why Trump's election might be a result of too many superhero films and the best motorway services in and around Milton Keynes.Support the podcast at patreon.com/bookshambles to get extended editions of each and every episode. There's a whole twenty extra minutes of Robin, Alan and Sarah this week.